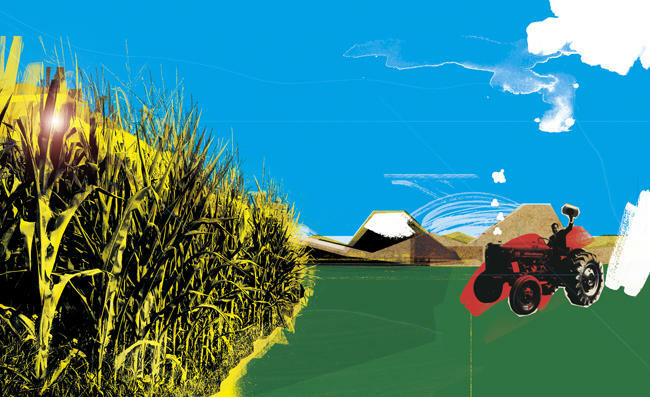 Fortune magazine ran an excellent article about the flood of institutional money pouring into agricultural land, a sector I have been harping on for some time (see earlier piece). The amount of arable land per person has fallen precipitously since 1960, from 1.1 acres to 0.6 acres, and that could halve again by 2050. Water is about to become even more scarce than land. Productivity gains from new seed types are hitting a wall. Rising incomes in emerging markets is producing more meat eaters, another huge call on grain and water supplies. To produce one pound of beef, you need 16 pounds of grain and over 2,000 gallons of water. China, especially, is in a pickle because it has 20 percent of the world’s population, but only 7 percent of the arable land, and it has committed $5 billion to agricultural land in Africa. Similarly, South Korea has leased half the arable land in Madagascar to insure their food supplies. George Soros has snatched up 650,000 acres of land in Argentina and Brazil on the cheap, an area half the size of Rhode Island, and has become the largest shareholder in Potash (POT). Even hedge funds are getting into the game, quietly building portfolios of farms in the Midwest and the South. Time to take another look at Agrium (AGU), Monsanto (MON), and the ag ETF(MOO).